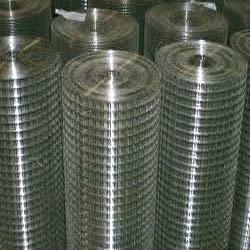 With our specialization in manufacturing, exporting and supplying a range of fencing, we offer Welded Mesh which is developed using optimum quality substance. These are specially designed for commercial nurseries, greenhouses, horticulture and floriculture. The offered products are tested under different parameters to assure their durability and robustness. In addition, these are absolutely biodegradable & eco-friendly, and can be availed at industry leading prices.